Saturday 17 March 2018 saw delegates come from across the UK to The College of Animal Welfare in Cambridgeshire for the Society of Companion Animal Studies (SCAS) conference on pets and housing. For decades, SCAS and its membership have had an active interest in the issues surrounding pets in housing; working to inform government and raise awareness of the health and social benefits from owning pets, and highlighting the potentially devastating consequences of having to surrender pets due to lack of positive pets in housing legislation. Thank you to Claire Horton, our conference chair, and to our expert speakers who provided such interesting, informative and inspiring presentations. In addition to the presentations there was also time to network with colleagues and delegates new to the field. The day was greatly enjoyed by all and we now look forward with anticipation to our 2019 conference. Dr Bradley Viner, SCAS Chairman, opened the conference and introduced Claire Horton who chaired the conference. Claire Horton is the Chief Executive (CEO) of Battersea Dogs and Cats Home, is the Chairman of the Association of Dogs and Cats Homes (ADCH) and is a non-executive director of Defra. Claire gave a powerful and passionate presentation about the importance of animals in peoples’ lives. As CEO of Battersea and Chairman of ADCH she is very aware of the issues caused by pets in housing bans and the serious impact this has on the numbers of animals being surrendered to shelters. Dr Sandra McCune gave a very enjoyable and informative presentation providing a comprehensive overview of the documented health and social benefits of human-animal interactions (HAI). Sandra is Scientific Leader for Human-Animal Interaction (HAI) at the Waltham Centre. She qualified as a veterinary nurse, has a degree in zoology and a PhD in cat behaviour and welfare. Sandra is manager of the HAI research programme at Waltham and scientific lead in the partnership formed by Mars-Waltham with the National Institutes for Health in the USA to study HAI. Sandra has researched and written extensively on HAI. Taryn Graham, a PhD Candidate in Population & Public Health at the University of Calgary in Ontario, Canada discussed her research into the challenges faced by young adult pet owners when seeking accommodation. HAI topics Taryn has explored include: community development in dog parks; physical activity and social engagement via dog walking; municipal regulation of animals in housing and neighbourhood contexts; and the social justice implications of how society relates to, and thinks of, animals. She is the founder of PAWSitive Leadership, a humane education program that uses dog‑related research to teach compassion to children. Taryn also has experience of training service dogs for children with Autism. Moving home and housing issues contribute to the relinquishment of companion animals and studies indicate that tenants with dogs may be at a greater disadvantage than tenants with pets of other species, such as cats. She found that pet owners feel powerless in negotiations and discriminated against in their searches for rental housing, especially if caring for large dogs or dogs of certain breeds. Additionally, tenants complained about paying more for less, both in terms of quality and location of rental housing. Many stayed in these rentals, however, given how hard it was to find a place that would accepts their pets. Living in poorer-quality properties and in less than ideal neighbourhoods limited their capacities for physical activity (i.e. via dog walking) and for community development (i.e. via dog-facilitated positive interactions). Meanwhile, landlords and property managers indicated that listings advertised as “pet-friendly” tend to receive more applicants than units which prohibit pets. Landlords and property managers suggested meeting pets prior to signing the lease; limiting the number of pets allowed per unit; steering clear from furnished units due to potential for pet-related damages; charging utilities to tenants since sounds or lights may be left on to keep pets company when left alone; and speeding up the pet approval process when dealing with condominium boards. These suggestions offer a starting point for community-based dialogue and policy options to improve the prospects of pets and their people in rental housing. Graham T., Milaney K., Adams C., and Rock R. “Pets Negotiable”: How do the perspectives on landlords and property managers compare with those of younger tenants? In Animals 2018, 8(3), 32; doi:10.3390/ani8030032. Dr Jade Statt and Dr Gabriel Galea gave a moving account of their work with StreetVet. This is a not for profit veterinary led volunteer initiative offering free vet care to homeless people and their pets. StreetVet currently operates in London with over 80 volunteer veterinarians and veterinary nurses. It is expanding into other UK cities with the support of over 150 veterinary professionals. StreetVet also helps homeless pet owners to get accommodation by working with housing providers and by providing pet references. Many clients had their pets before they became homeless whilst others rescued their pets. Their animals are very important to them, providing companionship and protection. StreetVet offers advice to owners and service providers; preventive healthcare; microchipping; veterinary consultations; and referral to other service providers. Case notes are held on ProVet Cloud and are accessible on the streets. Private veterinary practices have provided surgical support, for example performing surgery to treat cancer. 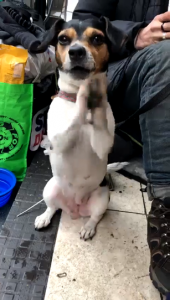 Working on the streets can be challenging – however owners almost invariably do their best to care for their pets and research finds that dogs owned by homeless people are generally healthy and well socialised towards people. StreetVet also works with homeless hostel staff to advise on pet keeping guidelines and support. Barriers to allowing homeless pet owners to access accommodation include building leases and council buildings that prohibit pets. Clare Kivlehan is Head of Outreach Projects at Dogs Trust. The Hope Project, run by Dogs Trust, works to encourage homeless hostels to accept clients with dogs. Hope was established in 1991 by SCAS members Colette Kase and Dr Anne McBride. Dogs Trust also worked with the Pet Advisory Committee/ Pets and Housing Group to inform social housing providers and through its Lets with Pets programme, Dogs Trust works with landlords, letting agents and the property sector to encourage providers to adopt positive policies towards pets. Clare stated that “no pets” policies have a negative impact upon the animal welfare sector and on human and animal health and well-being. Research conducted at Dogs Trust shelters found that 8.7% of surrenders were due to housing reasons. 78% of pet owners have experienced difficulty in securing accommodation; 54% were unable to find pet friendly accommodation; 8% had to rehome their pet. Pet owners can take 7x as long to find accommodation. An extremely concerning finding is that only 8% of homeless shelters nationwide accept homeless people with their dogs. Dogs Trust maintains a list of dog friendly hostels. Lets with Pets encourages landlords to take a Pets Considered approach. The benefits include that they have access to a wider pool of renters; pet owners tend to remain longer – reducing voids; pet owners may pay a higher deposit; and many will pay a non-refundable deposit for a professional deep clean at termination of their tenancy. Debbie Rook, is a Principal Lecturer in Law at Northumbria University. She was a property law solicitor in London but for the last 20 years has taught land law at Northumbria Law School. She set up an option module in Animal Law 14 years ago and has successfully run the module every year. She has a number of publications in animal law and is currently doing a professional doctorate examining the inadequacy of English laws to recognise and protect the human-companion animal relationship. Debbie examined the human-companion animal relationship from the legal view. The law currently fails to recognise and protect the human–companion animal relationship in the housing arena. The nature of the human–companion animal relationship has striking similarities to human–human relationships in the socially supportive aspects of the relationship such as attachment, nurturance and reliable alliance. This contributes to the social life and sense of well-being of the owner. It is clear that society benefits from the human–companion animal relationship, which many owners perceive as akin to family, in the form of healthier, less isolated people with better social networks. Yet in the key area of housing, the law does nothing to protect or even recognise this relationship. In consequence, every year thousands of tenants in both the public and private sector are faced with ‘no pet’ covenants in their leases and grapple with difficulties such as reduced housing options, higher rents or the traumatic decision to give up their companion animal for rehoming or euthanasia. This is especially prevalent amongst vulnerable people, like the elderly and mentally ill, who are more likely to need to move into supported accommodation. However, some countries, such as France and Canada, prohibit ‘no pet’ covenants in residential leases. Relying on the social nature of the relationship with pets and the physical and psychological benefits flowing from this relationship, and using human rights case law from Belgium as an example, Debbie argued that the human–companion animal relationship falls within Article 8 of the European Convention of Human Rights and considered the implications of this on housing law and policy in the UK. Dr Elizabeth Ormerod is a SCAS Trustee, a Vice President of IAHAIO, co-founder of Canine Partners and a visiting lecturer on HAI. Elizabeth is a retired veterinarian who spent 40 years pioneering bond-centred veterinary practice. This included acting as client advocate, for example supporting clients when faced with landlords operating pet bans. The most distressing cases seen in practice were not the road traffic accidents, poisonings, drownings or other tragic accidents. They were cases involving distraught clients who were unable to function, to eat or to sleep, who were retching, nauseous, suffering physical and mental pain because they had been ordered to “get rid” of their animal in order to access the home they needed. She reasoned with social and private landlords. providing letters of support from GPs and MPs, and factual information about companion animals and human health. During the conference Elizabeth presented three case studies illustrating how distressing such situations are. One of the cases related to John Chadwick, a vulnerable man in his 50’s who was prohibited from keeping his small dog and two cats when moving to local authority social housing. A few days after relinquishing his animals he was lost to suicide. The coroner recorded that his suicide was linked to losing his animal family. That local authority reviewed its approach in response to John’s suicide and has now introduced a positive pet policy. Another was a case of Bob and his dog; following a change in management at the residential ‘pet friendly’ home that Bob was in, Bob was threatened with eviction if he did not give up his dog. Hundreds of thousands of people rallied to support Bob, his story can be watched here. SCAS informed bills introduced to the House of Commons pertaining to pets, older people and housing in 1998, 2009 and 2010. All three bills received strong support in the Commons but were prorogued in the House of Lords. SCAS members created the HOPE project to support homeless pet owners and Pathway, the pets in housing working group, chaired by SCAS Patron Sir Roger Gale MP. The Pathway Guidelines are an excellent resource for tenants and landlords. SCAS members also created the Pet Fostering Service Scotland, established to provide temporary foster care for the pets of older people. Paws for Kids was founded by another SCAS member, providing foster care for the pets of people fleeing domestic violence. In 1998 SCAS launched its Pets for Life campaign to raise awareness regarding older people, pets and housing. A series of SCAS conferences have focused on pets in housing issues. These include Manchester (1990), Cardiff (1999) and London (2009). SCAS presentations about pets and housing have been delivered at other national and international conferences, and also in the House of Commons, the House of Lords and the Scottish Parliament. 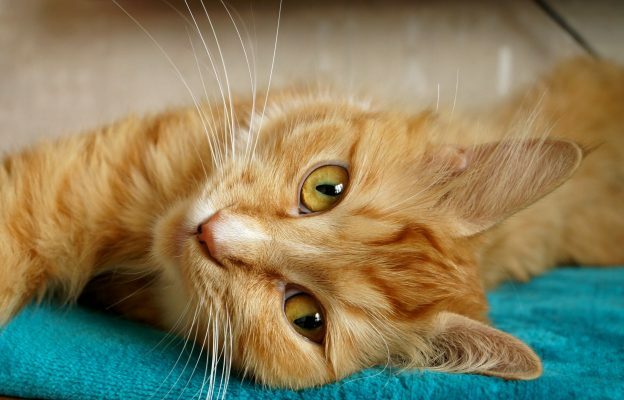 There is now a plethora of documented evidence pertaining to health and social benefits accruing from caring for pets and several counties have enacted positive pets in housing legislation to allow people to access these benefits. However, in the UK, with the increase in rental housing it is increasingly difficult for many people to find pet friendly accommodation. This was the impetus for SCAS to host another conference on the topic to provide a timely update about the complex issues. SCAS is extremely grateful to SCAS Board Member, Barbara Cooper – Principal of The College of Animal Welfare, for offering the use of the College facilities for our conference. It was an excellent day and sincere thanks is extended to all those involved in planning the conference, and College staff who ensured that everything went smoothly. Our 2019 conference will be held at The College of Animal Welfare on Saturday 21 September 2019. More details will follow shortly.